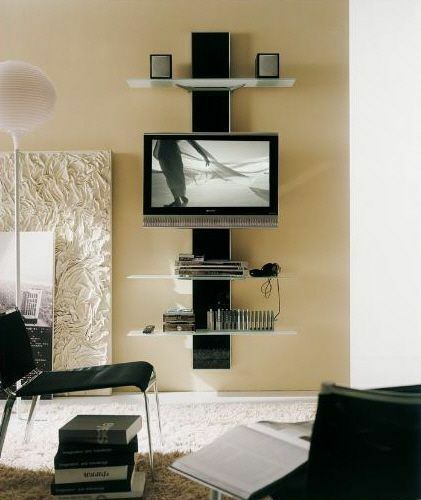 If you’re feeling adventurous and your TV is thin and light enough, why not hang it on the ceiling? This gives it the perfect viewing angles when you’re lying in bed, and it can save a lot of space if you put it in the right location. If you want it to disappear into your ceiling, then you’re going to need a fairly expensive and often complicated setup to achieve that.